Rent The Satellite Los Gatos | Corporate Events | Wedding Locations, Event Spaces and Party Venues. 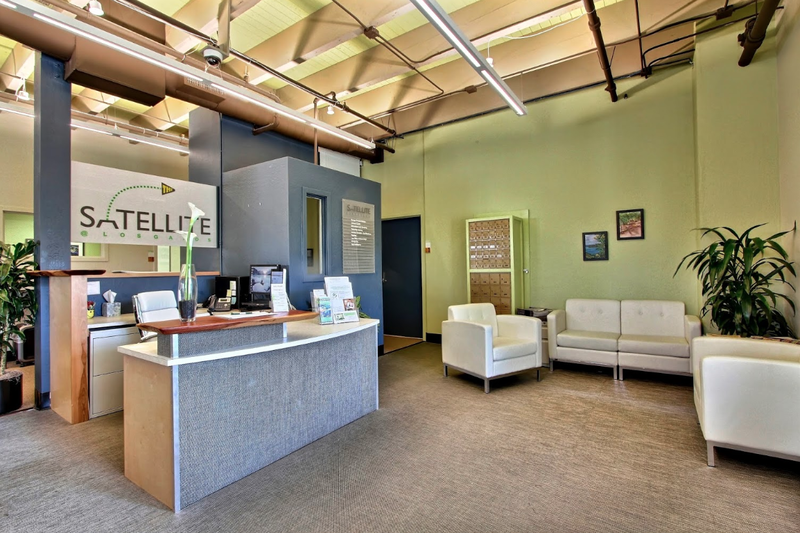 The Satellite Centers is developing a network of comfortable, connected, professional workspace and office space for rent in community commercial districts — for everyone from telecommuters to solopreneurs to consultants, therapists, salespeople, and startups. Satellite Centers offer a mix of private offices, workstations, meeting and touchdown space, virtual office plans, mail services, print/scan/copy facilities and videoconferencing — available 24/7 to members and during the working day for non-members. Each Satellite Center includes high-speed broadband Internet, ergonomic seating, community events, VoiP phone plans, virtual office plans, computer and admin support, and free coffee. We offer a range of facilities including: reception, co-working space, private offices, workstations, conference rooms, and break room.